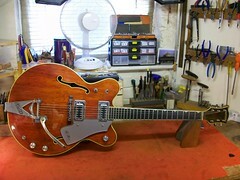 This week I have had on the workbench a 1970’s Gretsch Chet Atkins Nashville. 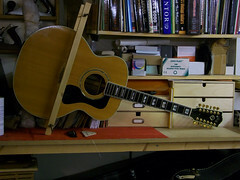 This guitar was being used on a major recording session, but when it came to laying the track down the guitar sounded out of tune. 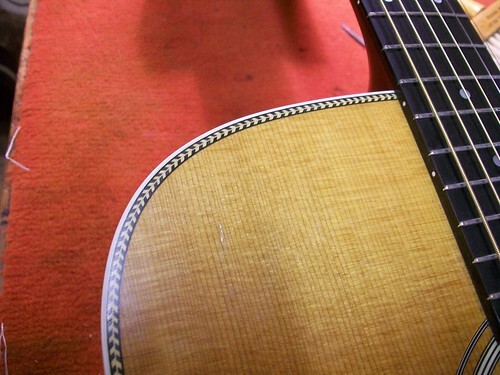 First impressions are of a well maintained and great looking vintage guitar. Delving a little closer reveals some dark and sinister goings on. It would not play in tune; it would not stay in tune, and we all know how frustrating that can be. 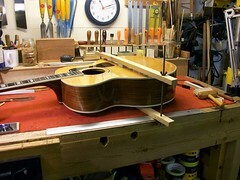 There were also several other minor issues including an electrical fault. 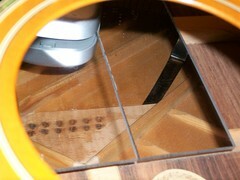 On closer inspection, I was able to establish that the fingerboard had been re-fretted. 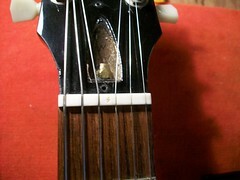 The fret wire used was very high and wide. Uneven flats spots had been worn into most of them. 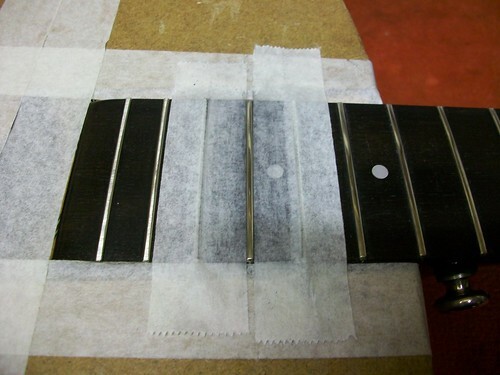 This created an intonation problem because the strings were taking the leading edge of the fret as its note reference and not the centre of the fret. 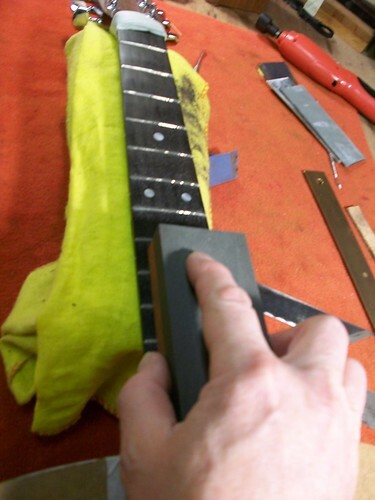 The Zero fret was also too high: This caused string-stretch when fretting the lower frets (1 – 5) causing the guitar to play out of tune. 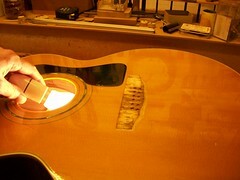 String-stretch can be a major cause of intonation problems. 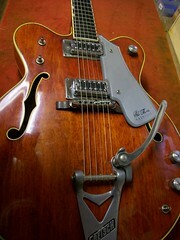 The Bigsby tremolo was unstable, which made tuning the guitar an epic event! 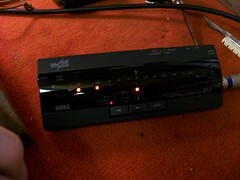 One of the 3-way toggle switches was intermittent. 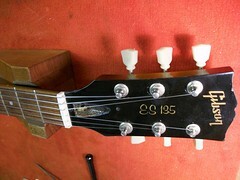 This guitar has 3 x 3-way toggle switches and naturally it was the one that was the hardest to get to! 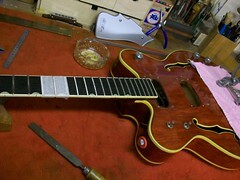 On removing the pickups and gaining access to all the electrics, I soon realised that the whole electrical system had been rewired. It looked a pretty poor attempt as the wire that was used looked like domestic household wire insulated with masking tape! 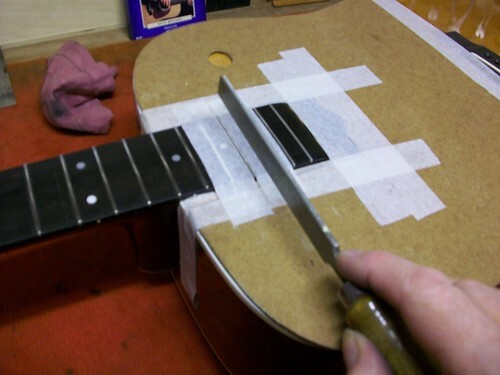 When removing the electrics to any semi acoustic guitar care should be taken when feeding the wiring loom up and out through the pickup or F hole cavities. If the electrics have been wired correctly there should be an earth wire that is attached (internally) to the bridge or in this case the Bigsby. 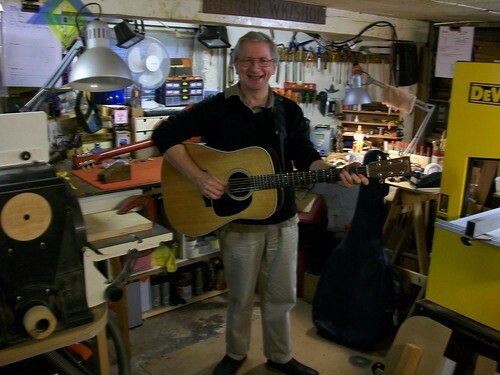 In this instance the earth wire was cut so short that I was forced to remove the complete tremolo system to release this earth wire, only to find that the strap button screw that was holding the wire had had its head removed! 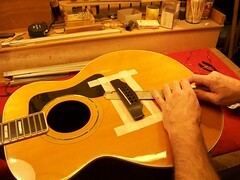 On all guitar repairs, once the problem has been identified it can be put right. 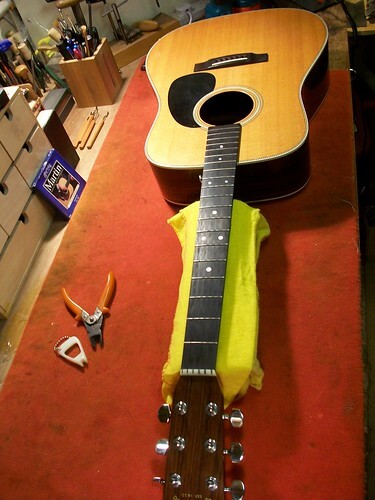 This vintage guitar has had numerous maintenance jobs carried out on it over the decades. 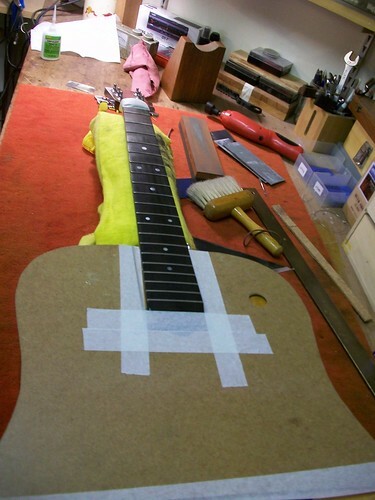 I did get the feeling that I was putting right other repairer’s work. 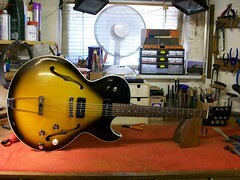 However, I am happy to report that the outcome of this repair ended very well, much to the delight of its owner.